Owners, Rob Paciocco and Glen Evans have a combined 55 years’ experience in the Security Industry from retail Security management, covert loss prevention and investigation management to crowd control, close personal protection and large event and corporate management. 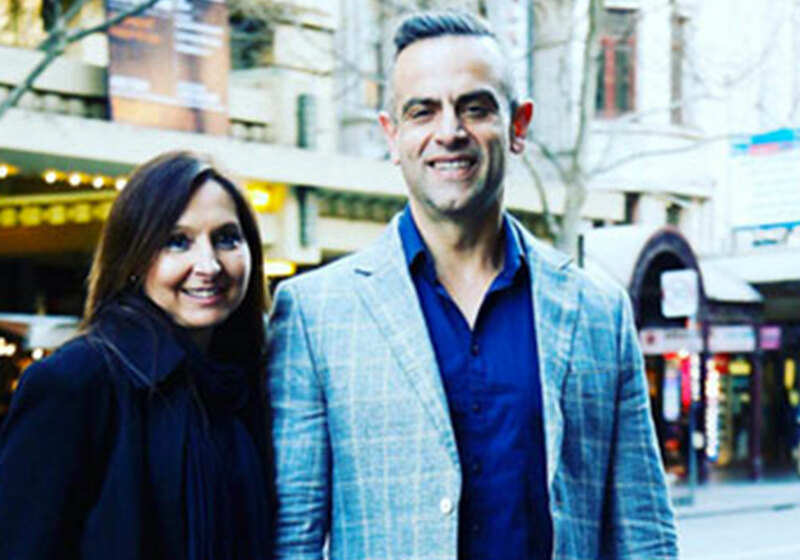 Anna Paciocco and Belinda Evans have experience in retail customer service, cash management and have extensive hospitality, tourism and management experience, including owning their own successful businesses. We are there to alleviate the stress from you and to ensure all visitors and staff are safe so you can concentrate on your event. All our staff have excellent communication skills, are well spoken, always well groomed and multi skilled who will always endeavour to go above and beyond the clients expectations. The team will not only meet the clients expectations but strive to exceed them, respond to any potential situations that may arise and will deal with them in a discreet professional manner. We encourage our Security team to always assist where ever they can beyond their normal role. We have a blend of Male and Female, Young and Senior staff from all backgrounds. You can be assured that our personnel are trained in the areas of workplace policy and are well skilled in hospitality and customer service. Standard attire is Black Suit, White Shirt with Black Tie and Black polished Shoes. Security are always neatly groomed. 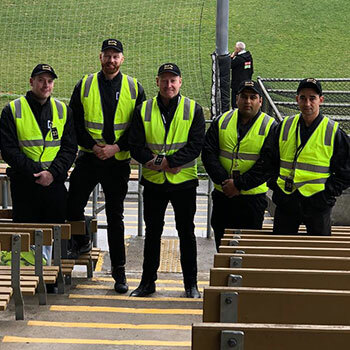 Polo Tops, caps and High Vis are also available for event security. Uniforms can of course be tailored to the client’s requirements. Security Tags, Counters and Sign In books are provided as per industry standard & radios can be provided on request at cost. 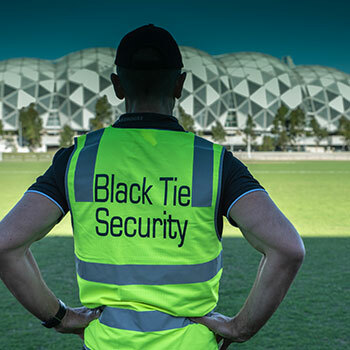 Black Tie Security have provided their services to The Big Group for the past 7 years and have consistently been professional with excellent communication, discretion and a genuine desire to help. 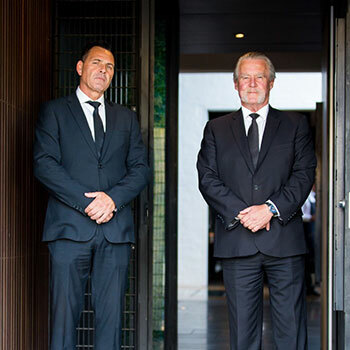 The staff at Black Tie Security are always well presented and go above and beyond to meet the needs of our clients. I wouldn’t consider placing the safety of our employees and thousands of clients in anyone else’s hands. 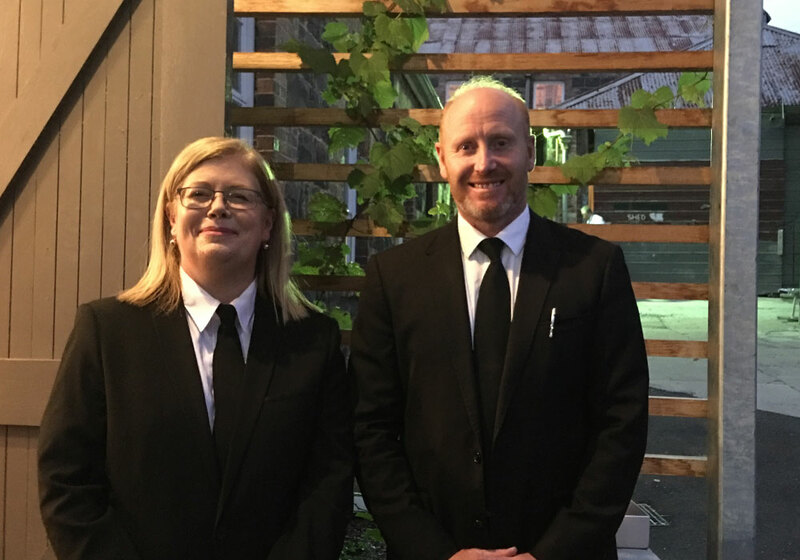 Damm Fine Food work with Black Tie Security regularly, and highly recommend them to anyone looking for trusted team who always look the part. They are friendly, approachable and have always supported our staff wherever needed at our function venues and major events. Black Tie Security is BTTB’s go-to Security Company! When we have Black Tie Security on board we know we will have a safe, secure and well run event. Black Tie guards are well presented, have excellent communication skills and are meticulous in customer service. Black Tie are the whole package!! Looking for a security company that provides friendly, professional, experience, well spoken, and well-dressed staff can often lead to settling for the best of a bad bunch, but not with black tie security. Black Tie is like an extension of our team – they treat customers the way we do; with respect. Of course, there are times you need help dealing with undesired situations, however it’s the calm professional approach to these times that for us, set’s Black Tie ahead of the rest. We had used some large security firms in the past and were disappointed with the impersonal level of service. When we found Black Tie Security they were just the perfect fit for our bespoke events. Rokeby Studios and Gallery is a multifaceted space and Black Tie Security look after every one of our events with a friendly and can-do attitude. It’s great to have friendly, well presented and personable security in our line of business and our clients appreciate this too. Black Tie Security have always provided us with outstanding security service with the utmost professionalism. They’re also a fantastic team to work with during the planning process and onsite, with a clear passion for providing reliable and consistent service to their customers. Can’t recommend the team highly enough!